Whether you’re an experienced outdoorsman, or you’re just looking for a way to reconnect with your roots, hunting is an incredible experience. We have any number of advantages over our less-technologically developed ancestors, too. That includes advancements in hunting weapons and gear, but also in the way you track and pattern the game you’re after. Primitive societies were forced to rely on their tracking skills and knowledge passed down from generation to generation, but today, you can use trail cameras to do the same job. Trail cameras are unobtrusive devices designed to be mounted to tree trunks, within brush and in other out of the way areas. Generally, they’re activated by motion – when a deer walks by, the camera snaps a picture, or records a preset amount of footage (in the case of a video camera). This information can allow you to find where your game is gathering without having to be in the field personally. You can then set up your tree stand where you have the best chance of bagging the prey you’re after. Of course, there are hundreds of different trail cams on the market, and not all of them are worth your time. You’ll need to choose the right model not only for your needs, but for the area in which you’ll be hunting, the threats to your camera (inclement weather, theft, etc.) and more. Flash Type – The type of flash used can affect everything from the visibility of your camera to game and other hunters to the clarity of the pictures you get. You’ll find white, red and no-flash models on the market. Resolution – This will determine the clarity and quality of the picture (combined with the type of flash in question). Trigger Speed – Trigger speed refers to how quickly the camera snaps a photo (or records video in some cases) after being triggered by movement in the targeted area. This matters more in certain instances. For example, you’d want a faster trigger speed for a camera on a game trail than one mounted in an area where animals feed. Recovery Time – This refers to the delay between snapping a picture, and when the camera is ready to take another. Recovery time can range from one second to over a minute. Battery Life – Your trail cam will be powered by a battery, and that means battery life is going to be very important. The longer the battery life, the less hassle is involved with ownership. Weather Resistance – Obviously, your trail cam will be mounted in the outdoors, which means it will be exposed to the elements, including high heat, frigid cold, rain, sleet and snow. It needs to be completely resistant. These are some of the most critical factors you’ll need to consider when shopping for the best trail cam. Based on these, and other factors such as price, performance and features, we’ve assembled a list of some of the best trail cams on the market. Again, just because a particular trail cam boasts a ton of features, that doesn’t mean that it’s a great buy. You’ll want to consider things like how long the batteries last (as that will affect how often you have to replace them), as well as how weatherproof the camera is, how easy it is to install, the life of the warranty offered and more. We’ve assembled a list of the best trail cams based on what we consider to be some of the most critical factors in terms of ownership and performance. You’ll find that the prices range from as low as $60 to well over $100. Ready to get your hunt on? Let’s look at some of the best trail cams on the market. Overview: In the world of outdoor gear, few names are as well known as Bushnell. 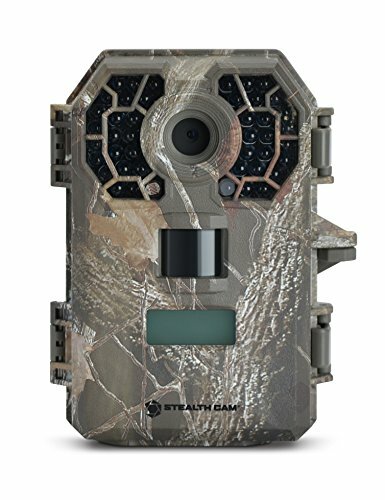 This trail cam offers quite a few features and benefits, including the ability to record video (up to 720p), a customizable megapixel range for the lens (3, 8 or 12 MP), a 0.3 second fast trigger speed and a day/night sensor.You can also program the trigger speed if you prefer, and the camera can take one to three images per trigger event. Video length can be programmed between five and 60 seconds, and both video and photos can be recorded to the onboard memory card (sold separately). Note that this is a white flash/full color camera. Battery life is up to one year. Specs: 3, 8 or 12 MP lens, color photos/video, one to three images per second, programmable video duration, one-year battery life, highly durable, weatherproof casing. Overview: With an affordable price, the Moultrie A-20 Mini Game Camera is an excellent option for those buying their first trail cam. It offers a 12MP resolution, and the trigger speed is under a second. The flash is capable of illuminating the scene up to 50 feet, and it uses a long-range infrared flash, not a white flash. This camera is also capable of recording video (no audio) with up to 480p resolution. Photos and videos are stored on the onboard SD card (not included), and the camera comes with a two-year warranty. It’s also weatherproof, and the dark green color blends well against most bark types. 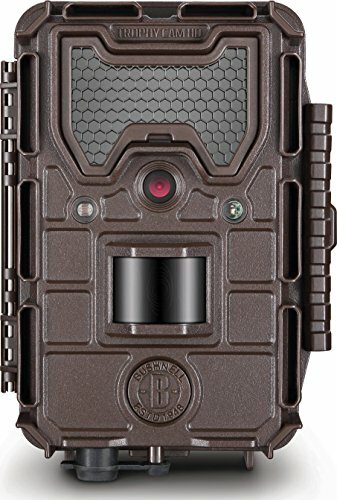 This camera also offers multi-mode photo shooting, and can be connected to Wi-Fi (for use with Moultrie Mobile Modern software, which is a separate purchase). Note that battery life varies with use, but can last up to a year depending on the batteries chosen and the amount of activity in the area. Specs: 12 MP camera, waterproof casing, can connect to Wi-Fi (requires separate purchase of software), up to 480p video resolution, full color pictures, programmable picture mode, visibility up to 50 feet, red flash. Overview: If you’re looking for a camera with a no-glow flash and a relatively low price, this might be one model to consider. The Stealth Cam G42 offers a 12 MP camera, and a trigger speed of just half a second. Note that programmable burst shooting is capable of capturing up to nine images per trigger event. The camera uses an onboard SD card, and can support sizes up to 64 GB (as an aside, the company’s product description says 32 GB, but the box the camera is packaged in and the accompanying manual indicate 64 GB). It is also capable of capturing up to 180 seconds of HD video, and supports audio recording, as well. 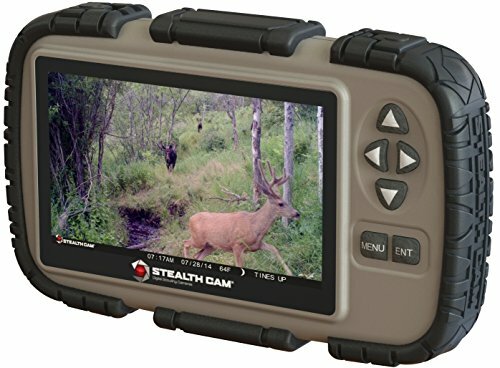 If you are looking for a trail camera that has audio, then this one is for you. The flash is completely invisible (no white or red light). Specs: Gray casing for easy concealment, 64 GB SD card capacity, no-glow flash, 12 MP camera, captures video and audio, half-second trigger speed. 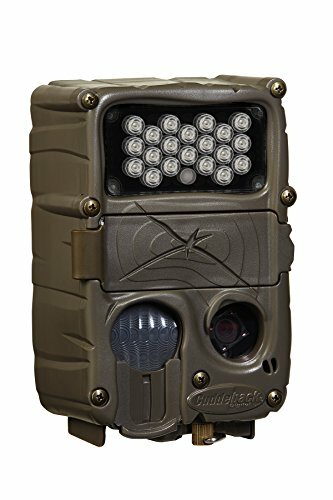 Overview: Cuddeback has always been a leader in the trail camera industry. But it definitely comes packed with all the bells and whistles and produces high quality images that other cameras can’t take. One of the more expensive models on this list, the Cuddeback E2 comes with some pretty powerful benefits. One of those is the 20 MP camera (the highest rating of any trail cam on our list). It also includes a quarter-second trigger, and boasts a very impressive 100-foot flash range. The super-compact form factor also makes this one of the least obtrusive cameras available. It uses an infrared flash and delivers high-quality photos. Images are stored on the onboard SD card (not included). Specs: 20 MP camera, 100-foot flash range, IR flash, quarter-second trigger, programmable flash, tripod socket. Overview: While this is the most expensive trail cam on our list, it manages to pack in a lot of features for the price. Bushnell has always been a big leader in the optics industry. The housing comes in both brown (pictured) or camo, so it will blend well against most bark colors. It also offers a 14 MP camera for higher resolution images. The flash is a no-glow type, which means that it will not alert game or potential thieves. This is accomplished using black LEDs, and the anti-reflective cover is removable. The Aggressor also comes with a 0.2 second trigger speed, and is capable of recording high quality video and audio. The PIR sensor is adjustable, and all pictures and videos are time and date stamped automatically. Other stamp data includes moon phase, temperature and GPS coordinates. One set of batteries can power the camera for a full year (depends on activity), and the camera supports SD cards up to 32 GB. 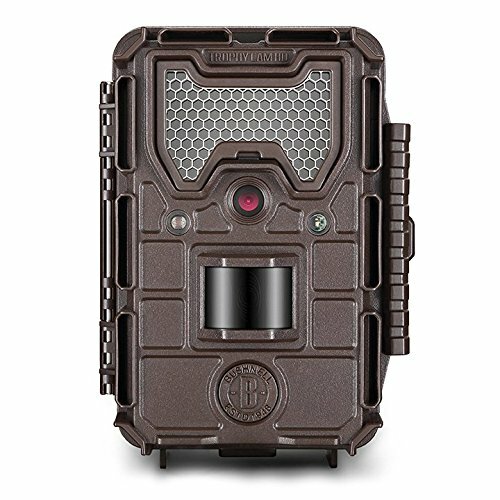 Specs: 14 MP camera, no-glow flash (black LEDs), waterproof, up to one year of battery life, programmable photo capture modes, captures audio and high definition video, timestamp on all photos/videos, 80 feet flash detection range. Overview: If you’ve paid attention to the products we’ve listed thus far, you’ve probably noticed that only some of them include a view screen on the unit itself. The vast majority of trail cams on the market require that you remove the SD card from the camera and install it in a computer for viewing and download. The Stealth Cam SD Card Reader and Viewer allows you to get around that problem while you’re in the field. There’s no need to take the SD card home with you, or to carry your laptop around. Just pull the card from the camera, insert it into this viewer, and you’re good to go. It features a 4.3-inch wide, full color LCD screen, as well as easy to use controls. It allows you to zoom in or out, scroll through stored photos, and delete the ones you don’t want to keep. It is also capable of playing back video and audio recordings, and can be used with SD cards up to 64 GB. Specs: 4.3-inch LCD color screen, easy to use control, rugged plastic chassis, includes wrist lanyard, rubberized grip, headphone jack, mass delete function. Will I be using the camera on a trail or around a feeder? If you’ll be using the camera on a trail, you’ll want to ensure that it is capable of capturing clear images of game in motion. If you’ll be using the camera near a feeder or feeding area, this is less important. What’s the average range of the game from the camera? This can be tough to nail down, but it’s important. Most of the trail cameras on the market are able to capture relatively decent quality photos of large game at up to 40 or 50 feet from the camera. However, smaller animals do not show up well at greater distances. How much activity is in the area? This is another factor that can be difficult to determine. However, remember that the amount of activity will have a definite impact on battery life. Areas with lots of activity will cause you to replace your batteries much more frequently. Also, understand that any sort of activity within range of the camera will cause it to activate, including human foot traffic, automobile traffic and more. While some trail cams on the market can capture audio and video, many only capture video footage and photographs. Audio capture capabilities can increase the price you pay, and you might not even need this feature. Most of the trail cams we’ve listed are relatively affordable, but chances are good that you’re going to want more than one camera. So, figure out your budget before you begin shopping around. Know how many cameras you want (this will depend directly on the size or number of areas you want to monitor). When everything is said and done, the “best” trail cam is pretty subjective. Users have a very wide range of different requirements, from monitoring game trails and feeders to use around the home for security. You’ll also need to consider other things, like how easily you can get the images off the SD card and into a computer, whether or not you’d be better served by a model with a small built-in view screen, and more. If you have questions or comments about the trail cams we’ve highlighted above, or have used any of these models yourself and want to share your experience, we welcome you to post in the comments section below. I am in the process of building a house and have had some tools stolen before. 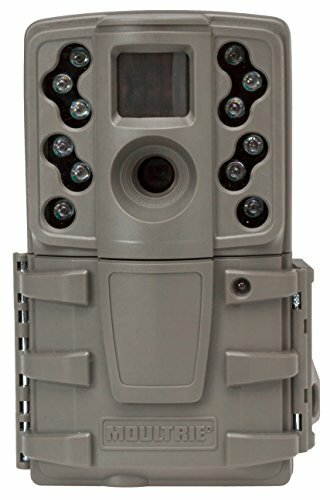 What trail camera would you recommend putting out to catch thieves that are stealing my items in my yard? Any of the above trail cameras would work for keeping an eye on your property. Personally, I would choose one of the high quality Bushnell cameras. Hope this helps and good luck building your house! I would like to take a moment and say that Cuddeback made a very nice camera. It takes quality photos and the lithium batteries last super long while out in the woods. I do however buying the lock box for it. Unlike most cameras, the Cuddeback 20MP takes really awesome photos in not so well lit areas. It’s also not grainy. I would recommend a Cuddeback as I’m picky and happy with my purchase. Used our Bushnell to capture some massive bucks. Thanks Trey! I used this camera, working great and easy to use. thanks for this good reviews.